The T’au have their own elite strike team, giving them access to advanced technology–can their stealth and firepower overcome enemy kill teams getting close enough to punch them? Find out inside. That’s right folks, it’s T’au time. 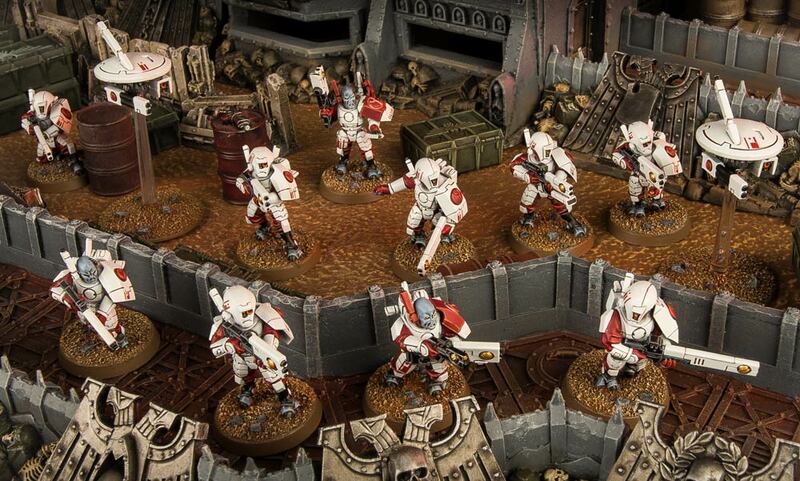 I’m excited for these guys–I do love the T’au, even if the rules of the game do not. These happy little high-tech space communists have their own strike team, and it’s pretty much the models you’d expect: Fire Warriors, Breachers, Pathfinders, and Stealth Suits. You’ll probably take a mix, but I’m real excited to see Breachers get a moment in the sun, their powerful pulse blasters could be real effective if the fighting is close in. Let’s take a look! Sometimes, spreading the Greater Good means approaching your rivals with open arms, using diplomacy and a vision of a shared destiny under a single egalitarian ideal to forge new alliances and face the terrors of the galaxy together. Sometimes, though, it requires a different form of diplomacy, consisting of a squad of hard-as-nails Fire caste elite detonating supply lines, murdering enemy commanders and spreading havoc deep in enemy territory in daring and secretive raids. Hey, you don’t get to make a utopian-future-shaped omelette without breaking a few eggs! Wait what’s that I see in the picture–are those Gun Drones? 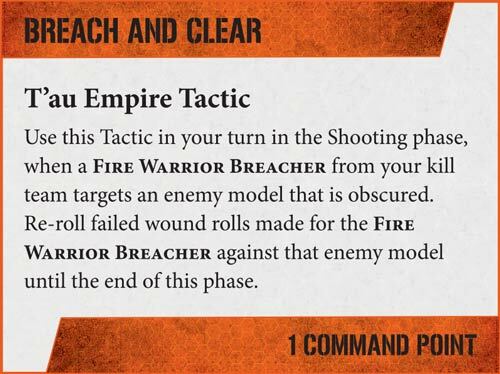 Does this mean you can take the best unit in the T’au Army in a Kill Team? It does. Oh. It’s on. It sounds like you’ll be able to take all of the specialized drones, which again, I don’t know why you’d want to take anything other than Gun Drones–I guess maybe the pulse accelerator could be cool. 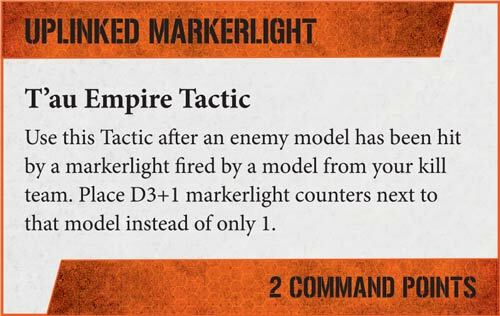 As with the other Kill Teams, a few familiar stratagems make an appearance here, Uplinked Markerlight, which is good, and Breach and Clear, which is questionable at best. I’m curious to see if you can kit out the Stealth Suit with all the battlesuit support systems–if so, man a couple of Stealth Suits with Drone Controllers running support for a team of breachers or regular fire warriors and a bunch of gun drones could be real spicy. 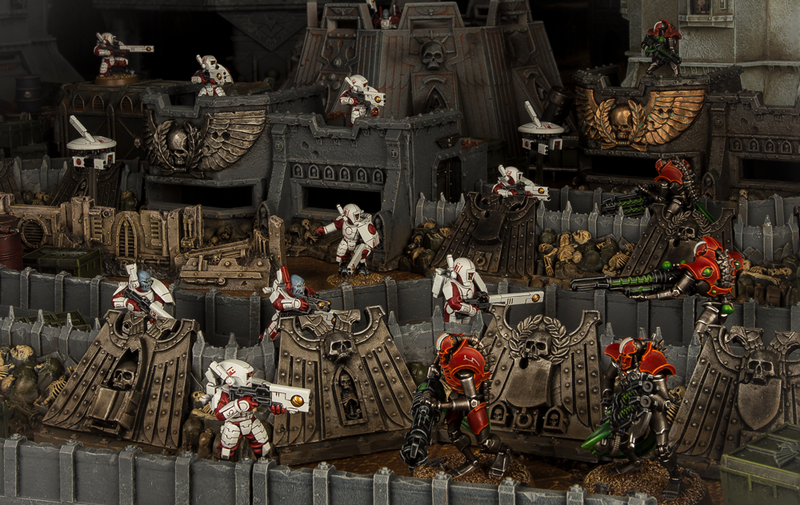 We’ll have to wait and see when the Kill Team book comes out. So get ready to strike at the enemy and clear them out of the Kill Zone…for the Greater Good.